Aneela has done it again! Posy is the latest collection by UK designer Aneela Hoey for Moda. The collection consists of 9 designs in up to four colorways. Reminiscent of all things girly but also Spring and a change of seasons. For us down under we are ready to welcome Autumn; a more gentle season after a dry and long hot Summer. 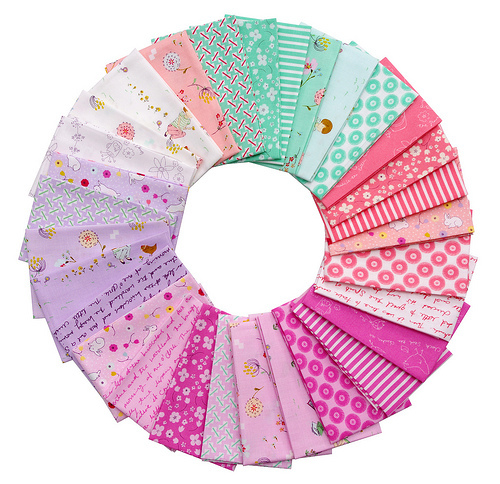 Posy includes small scale prints, stripes, and text prints, all of which are excellent stash basics - fabrics which combine readily with other collections and to which I turn to often when collating a fabric stack for a quilt project. Bouquet in Forget Me Not, Honey Suckle, Daisy, Foxglove and Lilac (bottom). I am particularly obsessed taken with the Bouquet design (above), and although I have started with this bundle of Fat Eighths, I have re-ordered these in yardage! You may also have noticed that several prints from this collection have already made an appearance in my Hourglass quilt top (see last blog post). 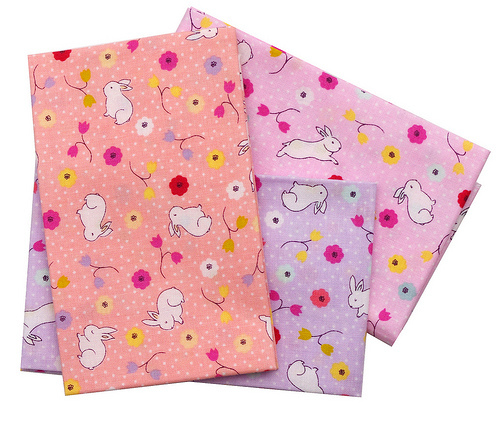 Bunnies in Honeysuckle, Lilac and Foxglove. I've been trying to resist this fabric, I might just have to give in. I just love the little girls reading, and the bunnies! Beautiful fabrics - love the pretty mint colour! 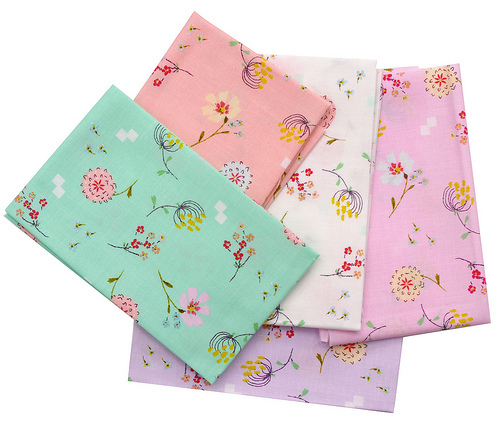 What a beautiful bundle of fabrics, great choices! You're right she has done it again. Another "must have" from Aneela and I'm loving the new colour additions this time around. Such a lovely collection! Bouquet is my favourite print, too. Especially with the white background. So pretty! Another WOW moment of gorgeous-ness - thanks Rita for the sneak peak!! So sweet ~ I love everything Aneela does! Love this line and I bought some precuts adding in texts and stripes for stash builders too! I Love the Posey...especially the lavenders and pinks. But I REALLY LOVE the Story line! That is amazing!!! I always look forward to your Sunday Stash posts! This is fun fabric! UAUUUU so pretty!! LOVE LOVE LOVE. The bunnies are adorable! Actually, these colors are exactly what I'm in the mood for with Easter right around the corner. Very sweet line. 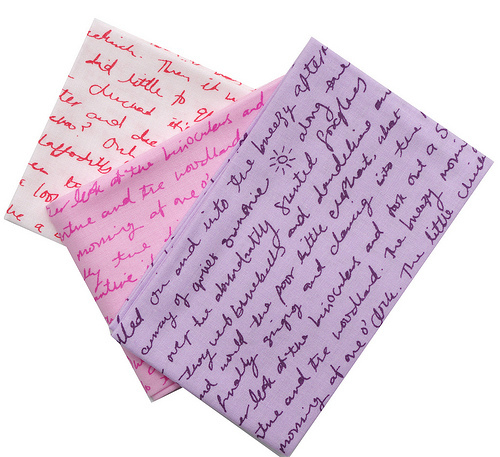 Rita, you mentioned that some of Aneela's new fabrics make an appearance in your new Hourglass quilt. I am wondering if you can tell us the name of the fabric that appears in the second photograph, on the right side of the picture. There are two pieces that look like they are from the same fabric and feature adorable doodle-like black on white flowers with stems and leaves. The flowers themselves are pink and light pink. They don't look like the new Aneela fabric. Thank you very much! Thanks, Rita! Found it and ordered it. Congratulations on your Hourglass quilt; another beauty. I just finished a small quilt and for the first time used a 4.1 quilting stitch as you recommended in one of your posts. I just love the look of that size stitch and the ease of it, too. Thanks for sharing your talent with us. The fabrics are lovely. 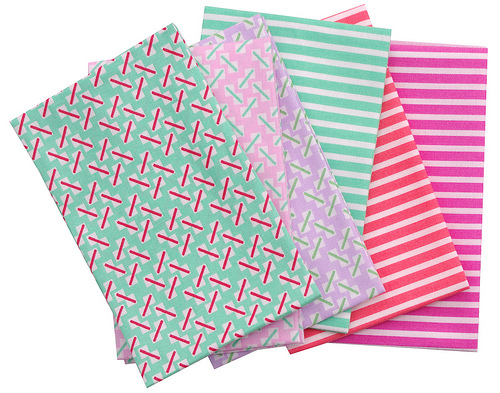 The prints make me think of spring time and tulips. I want to make a baby blanket out of them.